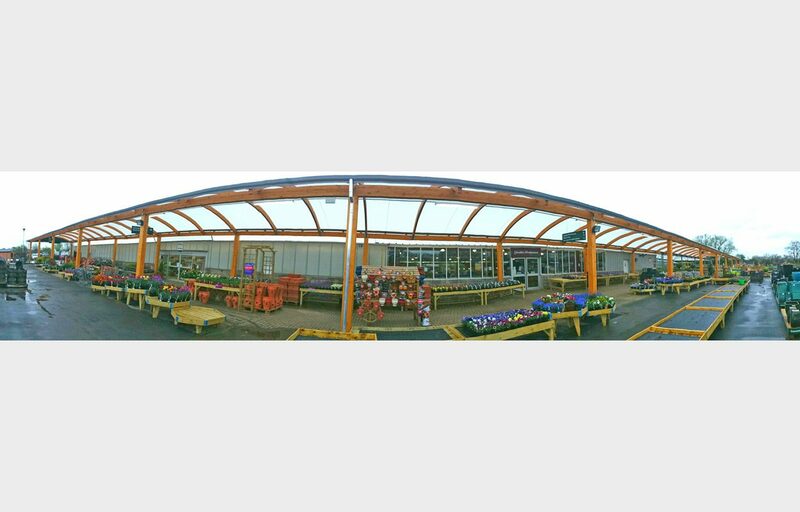 Canopies extend sales area for garden centre. 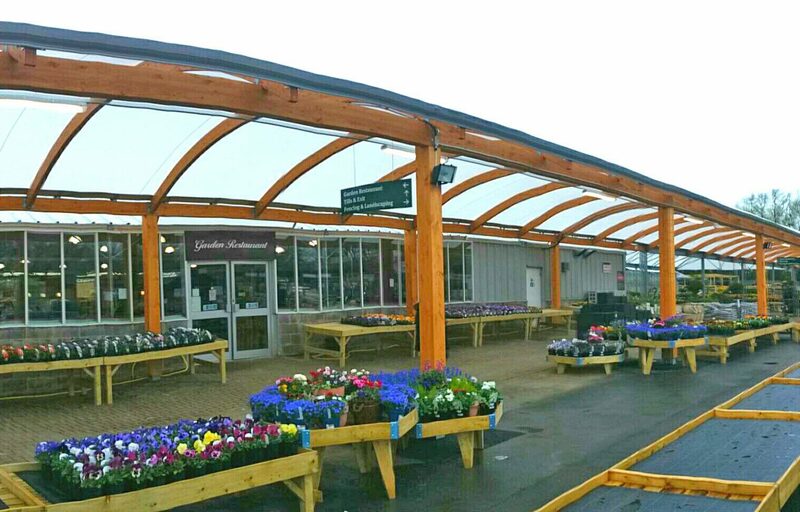 A hybrid canopy, a first of its kind for a garden centre, utilised CE marked steel and glulaminated timber to provide an aesthetically pleasing outdoor sales area for Lechlade. 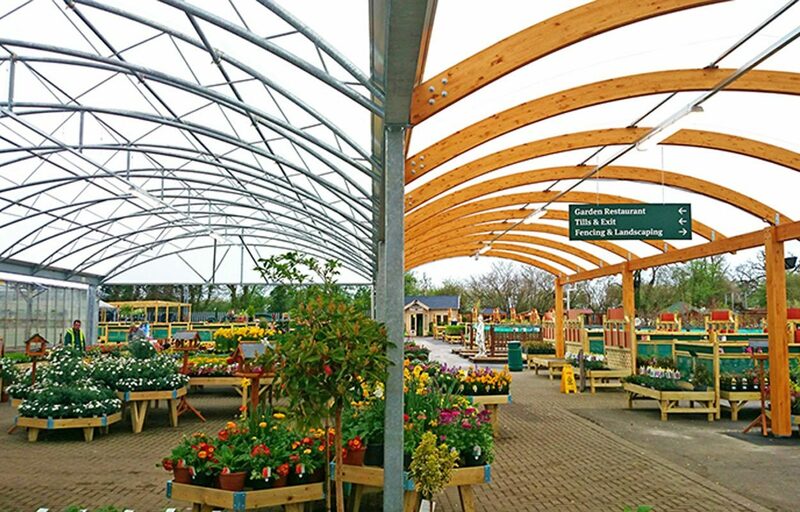 The timber structure acts as a walkway, making way to a wider tapered trellis structure and other sales areas at the rear of the garden centre’s site. 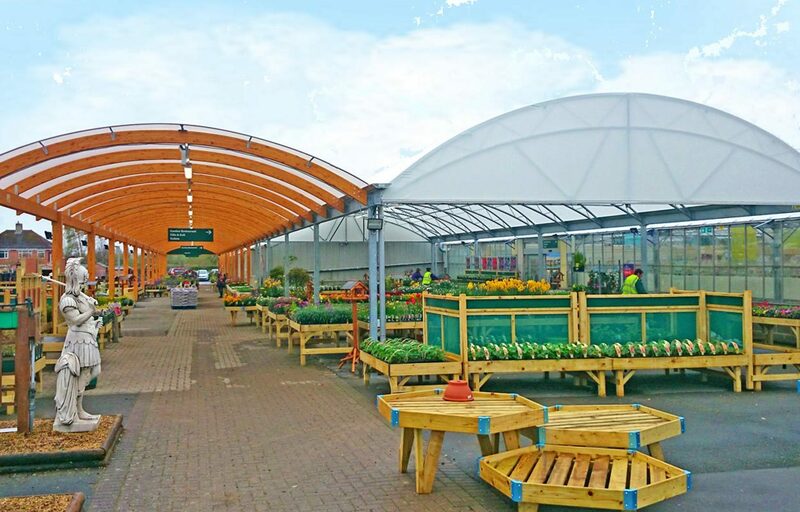 An Opal 60 fabric roofing solution developed exclusively for Fordingbridge is utilised on both frames. The contemporary fabric technology allows for an optimal amount of light through while also being 100% waterproof.